Whey Tech Pro 24 is one of literally thousands of protein supplements on the market. So, how do you know if you are getting a decent protein if you were to pick it? Well, that’s where we come in. See, we’ve tried hundreds of protein supplements and know exactly what makes a protein supplement good or bad. Here, we’re going to explain to you where Whey Tech Pro 24 ranks in as a protein supplement. Just so you know ahead of time, it does pretty well given its strong suits. First of all, exactly what type of protein is Whey Tech Pro 24? Whey Tech Pro is a protein blend which contains both protein concentrate and protein isolate. This makes it easy for Whey Tech to be less expensive than proteins that are strictly isolate. Additionally, Whey tech has minimal sugars and is sweetened with both natural and artificial flavors, once again allowing a price break. Due to these factors, Whey Tech Pro 24 is an inexpensive whey protein. And, we must say the stuff tastes pretty darn good. Our favorite is the Chocolate Mint flavor. Who Can Take Whey Tech Pro? Whey Tech Pro can essentially be taken by anyone. For instance, we’ve been taking it post workout as well as with low-protein meals. This has been a good fit for the team as bodybuilders. However, Whey Tech Pro is not strictly for bodybuilders. 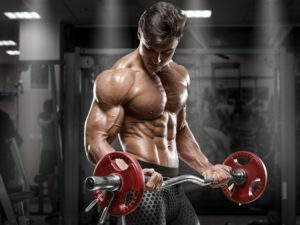 Pretty much anyone who is looking to get more protein in their diet to aid in exercise can benefit from whey tech pro. It’s affordable, tastes good, and does the job. Is Whey Tech Pro the best? No, Whey Tech Pro isn’t the best protein supplement you can take. There are plenty of ultra-clean whey isolate protein supplements out there. The only caveat is that they are significantly more expensive. So, there are two breaking points here where Whey Tech can be improved. Either by providing more specific and clean isolate protein, or by being a clean protein in general and not containing artificial sweeteners, etc. For such a thing, you can check out our quality based protein ranking. But, when it comes to affordability, Whey Tech Pro is certainly a winner. It’s simply economical, and really doesn’t have any belligerent red-flag ingredients added. After all, we take it and the whole team is quite picky. Where can you get Whey Tech Pro at? The main place to get Bodytech products like Whey Tech Pro 24 is at a vitamin Shoppe store, or at their online store. Like we explained in our Bodytech Hexatein-SR Review, visiting Vitamin Shoppe is not a hassle at all. The sales staff is nice, helpful, and will let you do your thing without pestering you like a GNC would. As a whole, this protein beats other low cost protein supplements. This is because it delivers a decent quality at a very, very low price. You can up your savings by buying in bulk with this protein as well. The 5 pound containers provide about 74 servings of 24 grams of protein, and that comes out to under 50 bucks. Other brands simply don’t offer that without some serious baggage. 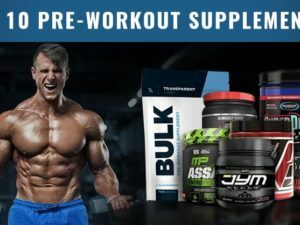 However, if you are looking for ‘the best of the best’, you can check out Bodytech’s premier lines if you want to visit a Vitamin Shoppe, or browse around our site for some other protein reviews. Currently (11/4/2015) we have some ultra-clean protein reviews, but they are definitely pricey in comparison to Whey Tech.